Sometimes it is that life has been very unfair with us, specially when we notice that some people have luscious hair, always radiant and shiny, and never looks out of place. The question is: why don’t I? The way your hair looks can ruin your appearance completely or turn you into a Greek goddess. Beautiful hair completes any appearance. A healthy lifestyle will mean healthier hair for you. Excessive stress, smoking, not exercising and not eating nutritiously are not healthy for your hair. 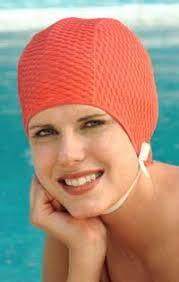 So, relax bit, get enough sleep and you´ll notice great changes in your hair. Great hair starts with a good cut, this will ensure that your hair is free from damaged and split ends, and will make it look healthy. Seeing a professional will give you the opportunity to get the right cut for your hair type and texture. Follow up visits which include regular trims will also guarantee that your hair will look and feel its best. Water not only hydrates your skin and body, it also hydrates your hair and helps your body lo liberate from toxins. So, drink plenty of water everyday. Do not shampoo your hair everyday. Hair that has not been washed for a day or two is easier to style. In fact, washing your hair once every two or three days will actually make your hair healthy. Washing your hair everyday robs hair of essential oils and dries your scalp and hair. When shampooing, rinse your hair out before applying any shampoo to remove any dust, dirt, and any other foreign items, then apply the shampoo onto your scalp and massage it gently with your finger tips and work your way outwards. After you are done make sure that you thoroughly rinse out your hair to remove any shampoo residue that may be left. Shampoo residue may dry your scalp/hair and or attract dirt. It is recommended that you only lather once to avoid drying your hair out, if you have oily hair, lathering again may stimulate your oil glands to create even more oil than normal. Use a conditioner after shampooing, it’ll moisturize your hair, give it extra protection, add shine, reduce static, and makes it easier to untangle. Put the conditioner in at about an inch away from the scalp, the roots of your hair contain the most oils and usually don’t need the extra conditioning. Using too many products will weigh your hair down and make it look tired and greasy. Remember this rule: One product to style and one product to finish with. Also, Choose the right products for your hair. If you’ve styled with the right products for your hair type and washed with the right shampoo, then your hair should be naturally shiny and manageable. Avoid using hair styling products with alcohol which dries out hair. Also, avoid puting hair styling products directly on your scalp, if you put it on your scalp you’ll clog the pores on your head. Try an intensive conditioner once a week to keep your locks moisturized and to keep your hair soft. To get the best from your deep treatment, apply it to your hair then cover with plastic wrap or a plastic shower cap and leave for ten minutes before rinsing out. This will add heat and allow the treatment to penetrate. For a deeper condition, wrap a warm towel over the plastic wrap. 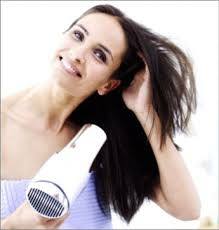 Hot air can be damaging to your hair so when using a hair dryer use the cool setting. Don’t leave the blow dryer in one spot for more than a few seconds, keep it moving and at a good distance away from your hair. Hair is most fragile when it is wet so avoid brushing or combing when it’s wet, or else it will cause breakage, wait until your hair is almost completely dry before brushing it. Comb your hair to remove any tangles before brushing it. Begin by combing your hair gently at the ends to get any tangles out and work your way up to the base of your hair. Layering hair with bangs is the perfect hairstyle. Keep the bangs thick and heavy or choose side-swept bangs. Side-swept bangs paired with long layers look beautiful.